The Coach House Sleeps 6 people. It has an open plan farmhouse kitchen/living room with comfy sofas, dining table, colour Digital Television and DVD player. 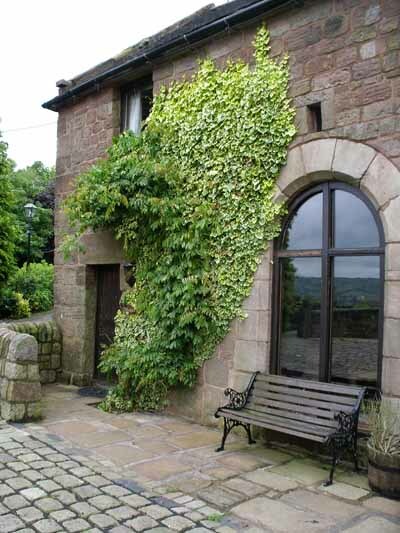 A large arched window affords beautiful views over the valley, the reservoir and beyond! The ground floor twin bedroom has an en suite shower room. An open stairway leads to the second twin bedroom with hand basin and shaving point. 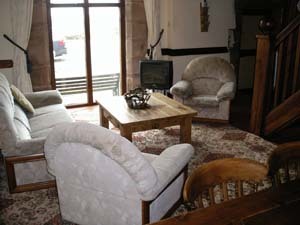 There is also a pretty double bedroom with beams, hand basin and shaving point. The feature of this room is the 'Minstrel gallery' overlooking the sitting room. The newly refurbished bathroom consists of bath, overhead shower, hand basin and W.C.